I bought these to mount my Tannoy HTS101 Home Theatre Speakers. 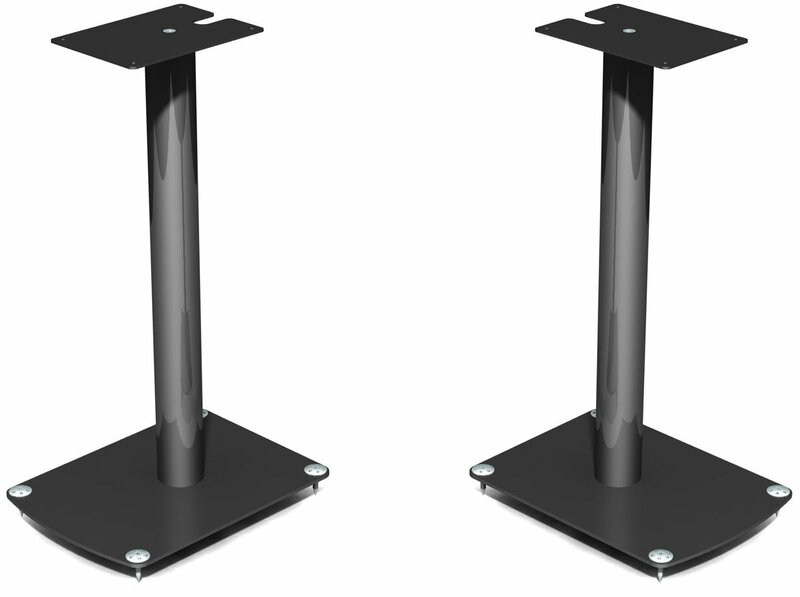 Top plates are a little oversize for relatively small speakers, but for the money these stands offer great value. Very sturdy, well constructed, excellent finish, adjustable carpet spikes, and provide integral cable concealment. Highly recommended. Can't really find any, you get what you pay for, and with these stands you get a lot for your money. Easy to assemble and the speaker wires are routed internally. Look very cool. Good solid heavy duty procuct, nice stile sets of my speakers very well. 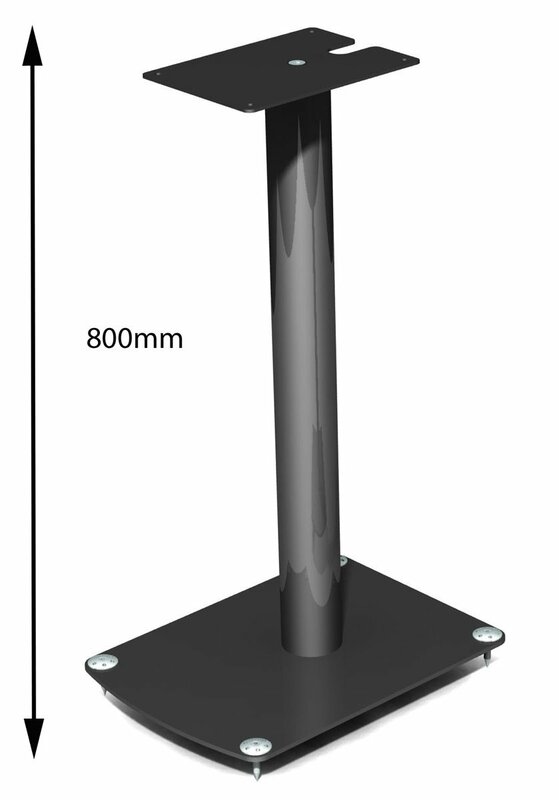 Are you able to hide the cables within the stand? I have a pair of KEF 13s & was wondering if the top plate is big enough. the speakers are 10 inch deep, 8 inch wide. Thanks, Geoff. My B&W 685's are the same dimensions and they sit on these stands just perfectly. I did not want to screw into my cabinets so I covered the top plate with double sided stick tape and stuck them to it. I managed to acheive a very rigid fixing which did not detract from the overall sound quality. Sounds great, looks great and is VERY stable.